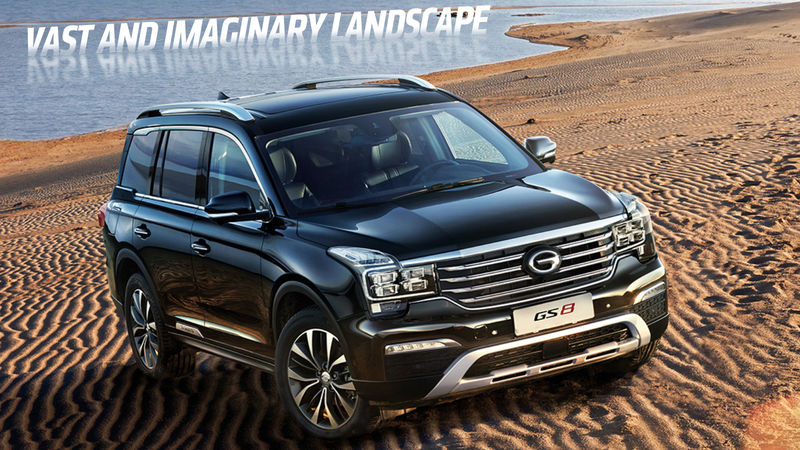 We know that a major Chinese automaker, the Guangzhou Automotive Co. Group (or GAC, yes, seriously) has big plans to come to the American market in 2019. That’s great, we welcome them heartily, but I do have a bit of advice, GAC: spend the money on some real English-speakers for your website, because as it stands right now, it’s too much fun. At first I was worried that commenting on this might be unfair; after all, I can’t speak Chinese, and some of you may point out that typos do unfortunately appear on these pages from time to time. Which is fair. But I’m a lone dipshit who goes full weeks without wearing real pants, and they’re a huge company! There’s plenty of carmakers from places that don’t originally speak English, and yet somehow Honda and Audi and Kia and Volvo’s websites aren’t ridiculous like this. I mean, yeah, “105 intelligent buttons” and “brand-new hard-boiled flying dynamics” are pretty much exactly the sorts of phrases any college-dropout native-English speaking proofreader could have told GAC maybe aren’t such a hot idea. I popped over to their website myself, and things just kept getting better. Let’s enjoy it all together, shall we? First, and this is recurring throughout the site, it’s pretty clear that hyphenation makes no sense to people who use a logosyllabic written language. And, of course, the spelling is pretty iffy, but the weird line breaks sort of help obscure that. That’s what I’ve always been saying about car seats! What else would an ease of mind refer to? Here, they clearly have most U.S.-market cars beat. I can’t think of a single car you can buy today with T-Shaped Pushrod Control Areas, let alone chrome-plated ones. Innermost-returnability is, like, my only must-have when it comes to buying a new SUV. Just a quick point on sunroofs in cars: I don’t think the landscape is necessarily “vast and imaginary,” and if it actually turns out to be, you better pull over and stop driving until whatever the hell was in those pills wears off. I imagine a “T-Shaped Sports Assistant” is like a headless robot with two long arms and a slim body that flings racquetballs at you really fast. Actually, “post snow Madrid” does sound sort of lovely, I guess. I heard a rumor the six will include a trombone, cornet, bugle, flugelhorn, one with a squeeze-bulb from a bike, and one from a bull. That’s a good assortment of horns. Now that I think about it, I hope GAC does absolutely nothing to improve their translations. This will make reading press releases way more fun.